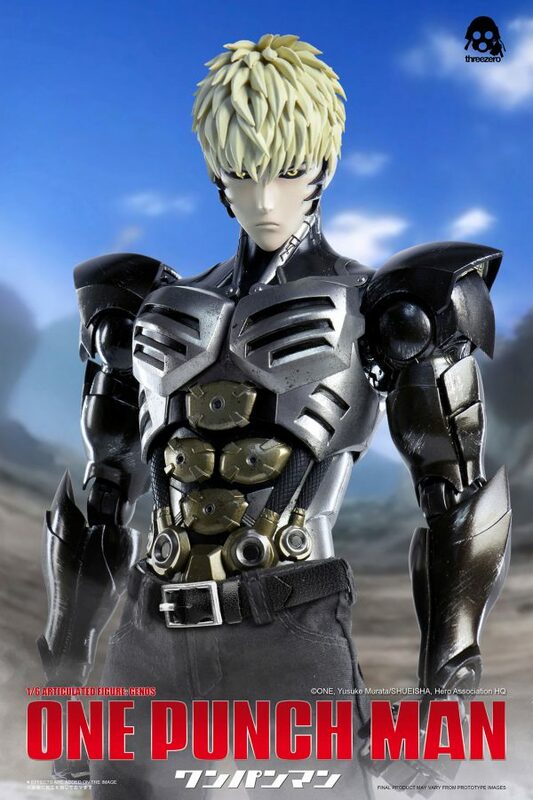 1/6 Articulated figure: Genos is available for pre-order at threezero Official Website: www.threezerohk.com starting from NOW for a limited time only! 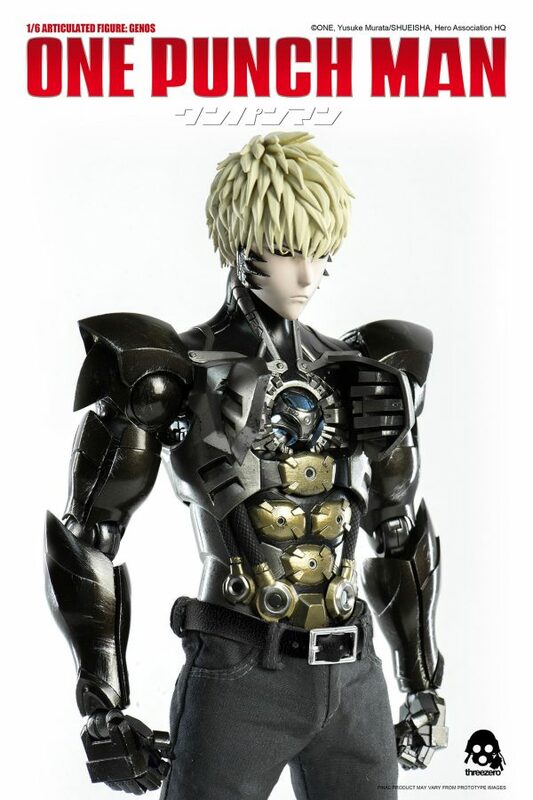 Genos price at www.threezerohk.com is 190USD/1480HKD with Worldwide Shipping included in the price. We have Exclusive version available for pre-order at our store for 210USD/1640HKD with Worldwide Shipping included in the price. 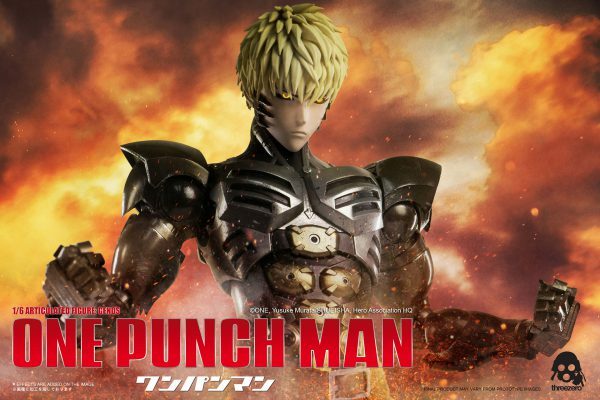 It additionally comes with Interchangeable Incineration Cannon Right Arm. 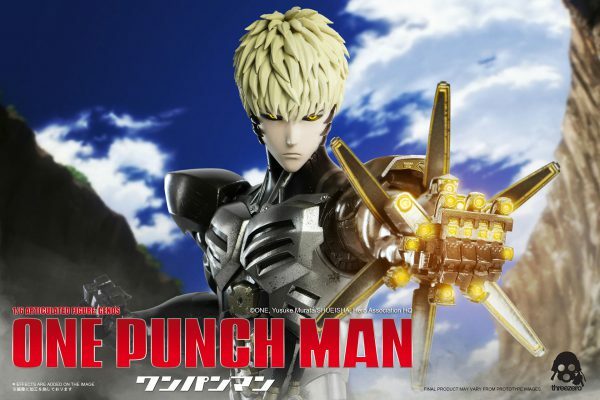 Please keep in mind: If you already had an account at our old store, you will need to complete quick and easy registration procedure again at threezero Official Website. 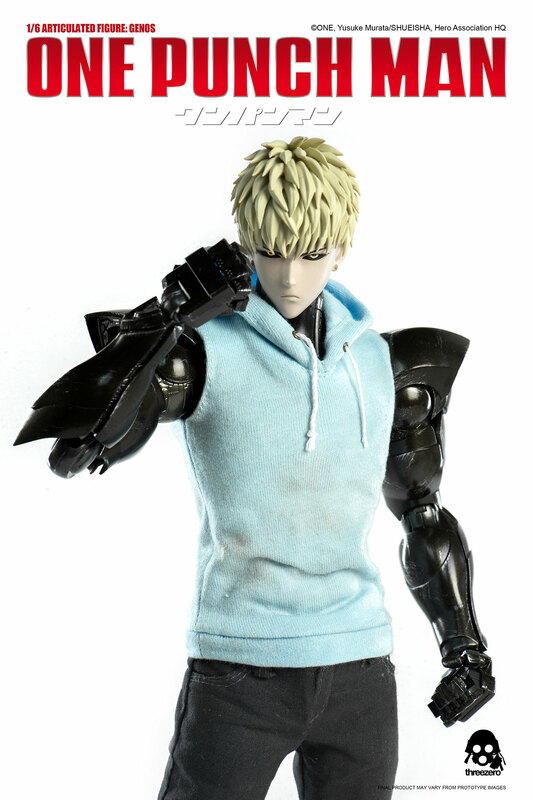 1/6 Articulated Figure: Genos stands approximately 12” (30.5cm) tall and features highly-detailed cyborg body. 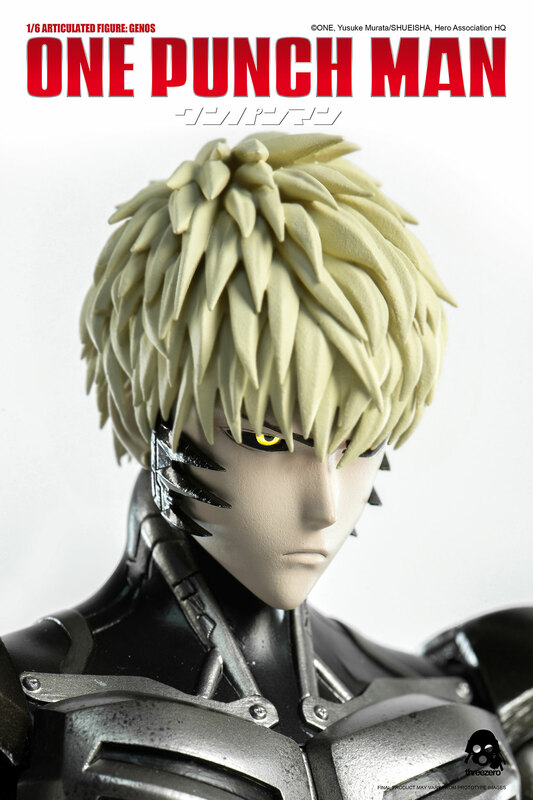 Genos head sculpt includes detachable face pieces and light-up eyes, while the figure’s chest includes interchangeable open-mode magnetized parts with a light-up removable core. Genos left arm is exchangeable with “Incineration Cannon” arm and both left arms feature articulated fingers and light-up mode. 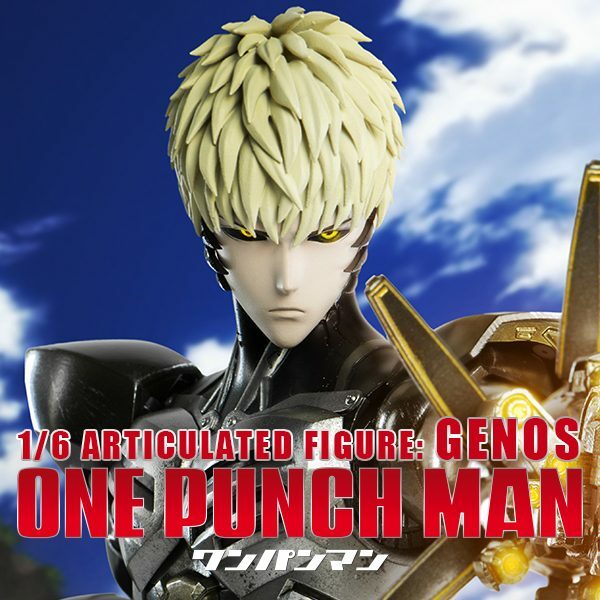 9 x AG0 Batteries needed for all light-up features to work and not included with the figure. 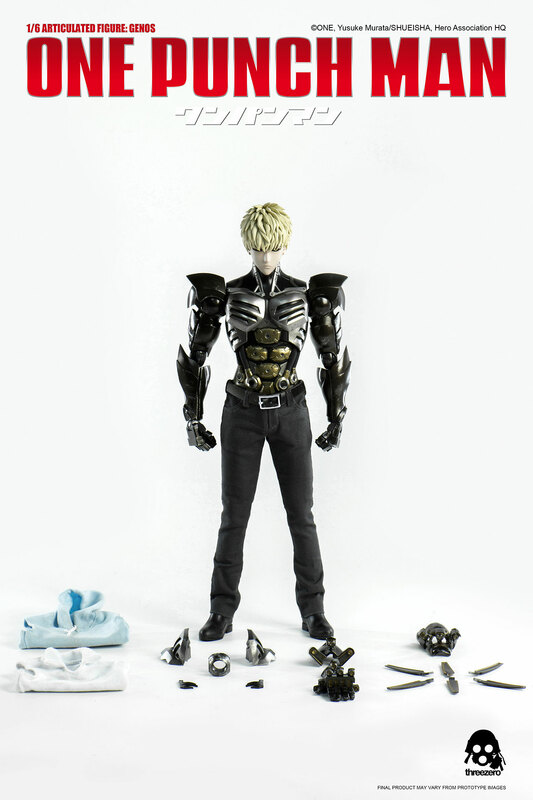 Genos comes with following clothing elements: sleeveless shirt, hoodie, pants with belt and shoes. 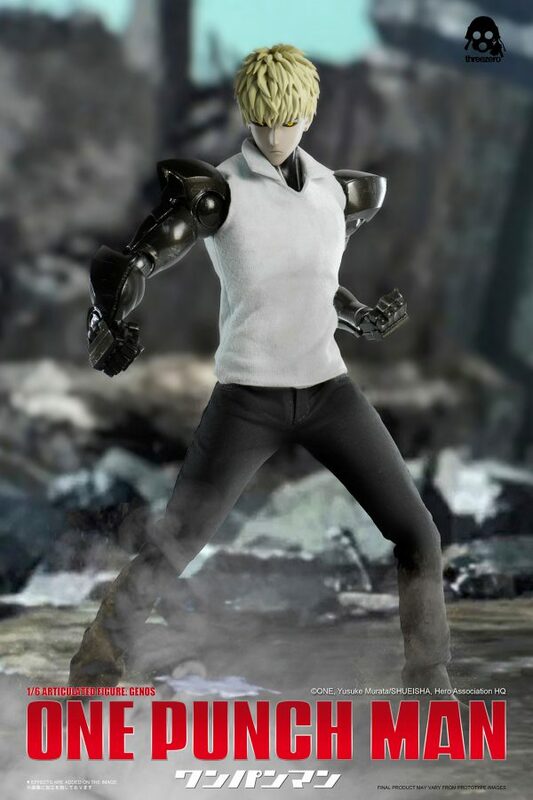 *Final product may vary from prototype images.